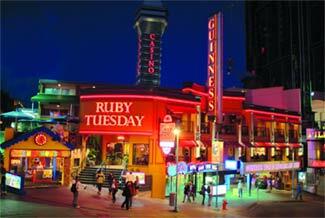 Niagara Falls is one of the greatest vacations spots in North America and shopping is one of the best kept secrets. For those south of the Canadian border, the exchange rate and duty-free shops are incentive enough for making a shopping excursion your sole reason to visit Niagara Falls. When shopping, be sure to ask about delivery. Depending on the store, the amount you purchase, and/or the size of the item, some retailers will offer to ship your goods. And that means only one thing: you aren't left "holding the bags!" Forum Galleries Antiques - Niagara's largest Antiques Center for Ancient Furniture, collectibles, curiosities and fun. A large and eclectic selection of unusual and rare items from Canada, as well as imports from Europe. Effingham Hills Antiques - This elegant little shop located in the heart of Niagara is just minutes from the falls. You will find a mixture of late Victorian and early 20th century, plus fine glassware, lighting, and linens. Europa Antiques - While visiting Niagara on the Lake, this is a "must-see" stop for the antique lover. Everything from armoires, beds, coat stands, and garden item. Pen Center - Niagara's largest shopping destination houses over 170 stores, four full-service restaurants, a movie theater, and a million square feet of shopping pleasure. Niagara Square - This shopping mall has a wide variety of stores that cater to all your needs. A ten-screen Cineplex theater and Sport Chek complement the variety of national and local retailers. Canada One Outlet Mall - This outlet mall is Canada's first brand name outlet mall. Major brand stores such as Levi's, Reebok and Rockport, Polo, Ralph Lauren and many more are conveniently located for your shopping pleasure. 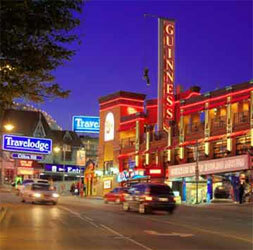 Clifton Hill - You'll find souvenirs, clothing and collectibles from Niagara Falls Marketplace, and the world's only World Wrestling Entertainment Store and Ride Attraction. 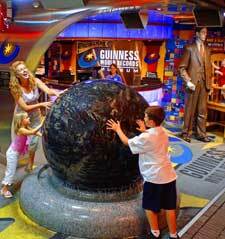 Send the non-shoppers off to the Guiness Book of World Records Museum, the Haunted House, the Fun House, or the Adventure Dome (all located within this shopping and entertainment complex) while you shop to your heart's content. For chocolate lovers, there's a Hershey's Store, and for collectors of those plush little animals, there's a Ty Beanie Babies store. Niagara Duty Free Shops, Inc. - Discounts up to 50% on brand name merchandise, liquor, wine, beer, tobacco, fragrances, jewelry, china, crystal, clothing, specialty foods, and gifts. Queenston-Lewiston Duty Free Shops Ltd. - Open 24 hours. Enjoy Duty and Tax Free shopping in bigger surroundings. If you're a serious shopper and/or bargain hunter, then put on a pair of comfortable shoes, rally together a few friends, grab your wallet, and prepare to shop till you drop! This Haunted House is GREAT! It is a must-do!!!!!!!! It was a great time for the kids and a great way for them to expend some energy from the long ride there, but it was a lot smaller than I anticipated. Too much money for as small as it it very much information and facts nice place.